Jorhat’s Sonia Sarda is all set to represent India at the Mrs Tourism Queen International 2018 in Kuala Lumpur, Malaysia. The pageant will be held there from August 24 to 30. 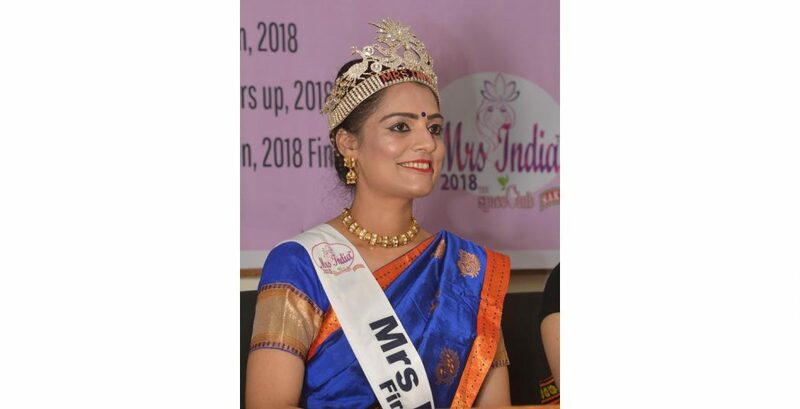 She won the first runner-up title at the Mrs India 2018 pageant in Chennai on July 30. Sonia is a mother of two girls aged 10 and 6. She participated in the Mrs India Delhi NCR 2018 in New Delhi in May, representing Assam and was adjudged Mrs India Assam 2018 before becoming the first runner-up at the national-level Mrs India 2018 pageant, reports The Telegraph. “Being a housewife and a financial adviser of my own firm, going from abaniyafamily to the world of fashion is an achievement for me. The preparation for the pageant was a challenge as I weighed 72kg and had to go for rigorous yoga and a healthy diet to reduce to the 53kg I am now. I am proud to represent Assam and my country at the pageant. I will promote the tourism potential of Assam and the Northeast,” Sonia said.